Recent visit of Sri Radhanath Swami to the Shree Gopinath Gaudiya Math. 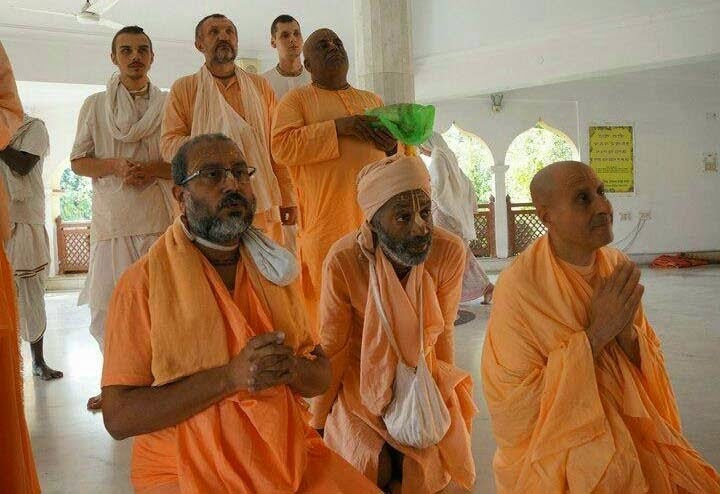 In the picture Radhanath Swami offeres homage to Srila Bhakti Pramode Puri Goswami Maharaj along with B.B. Bodhayan Swami, actual acharya of Srila Puri Maharaja's mission.